My First Crayola art tools provide children their first art supplies made especially for their little hands so they can create. 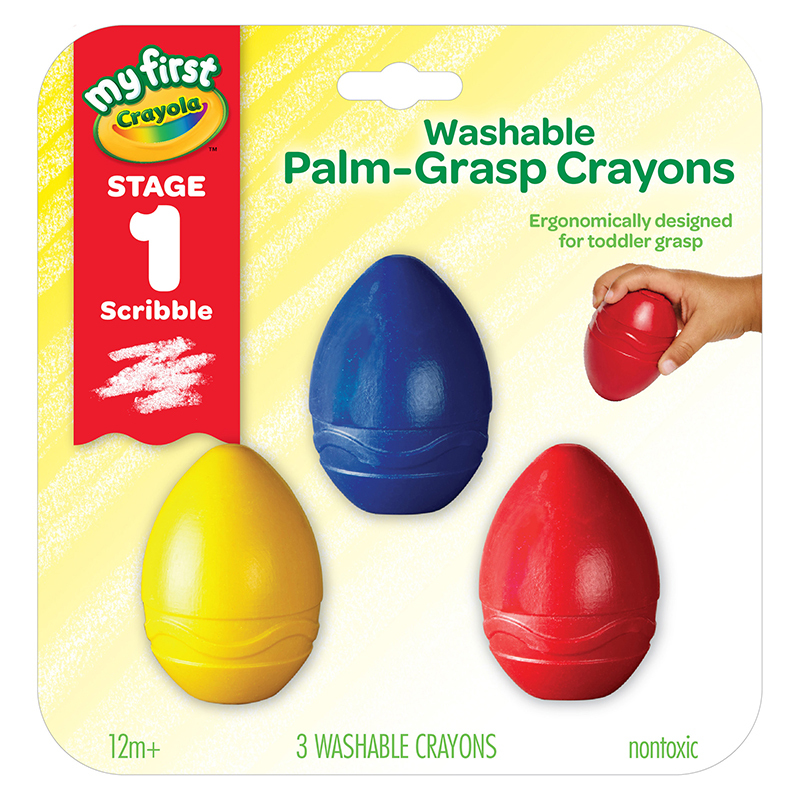 These 6 palm-grasp, egg-shaped washable crayons are sized to fit toddlers' hands so they can easily make their first marks. Each egg is the equivalent of 14 regular crayons! 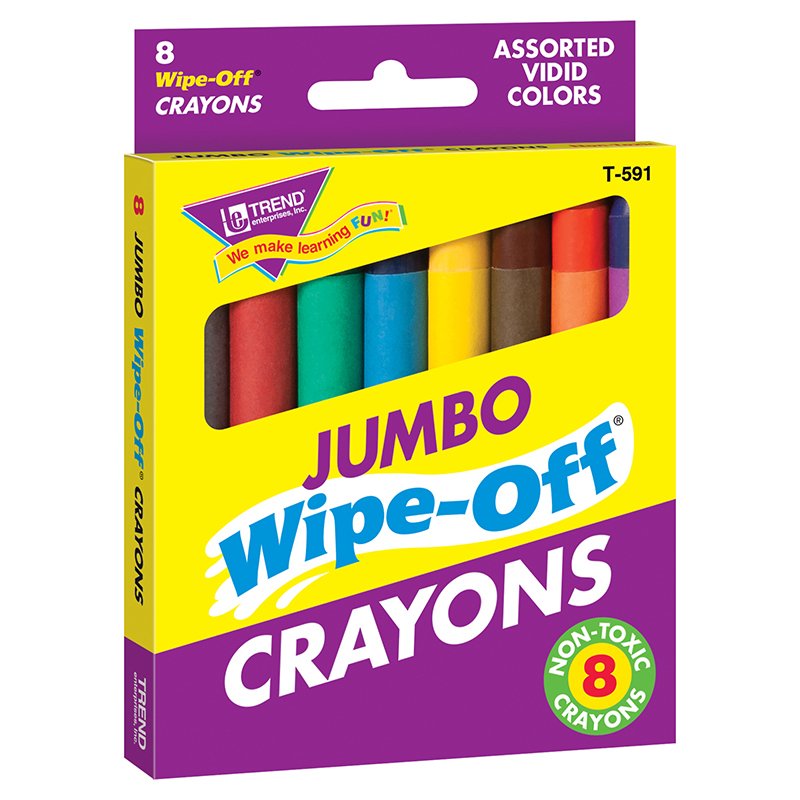 Includes 6 crayons (red, blue, yellow, orange, green, purple) for 12 months and up. AP Certified nontoxic. 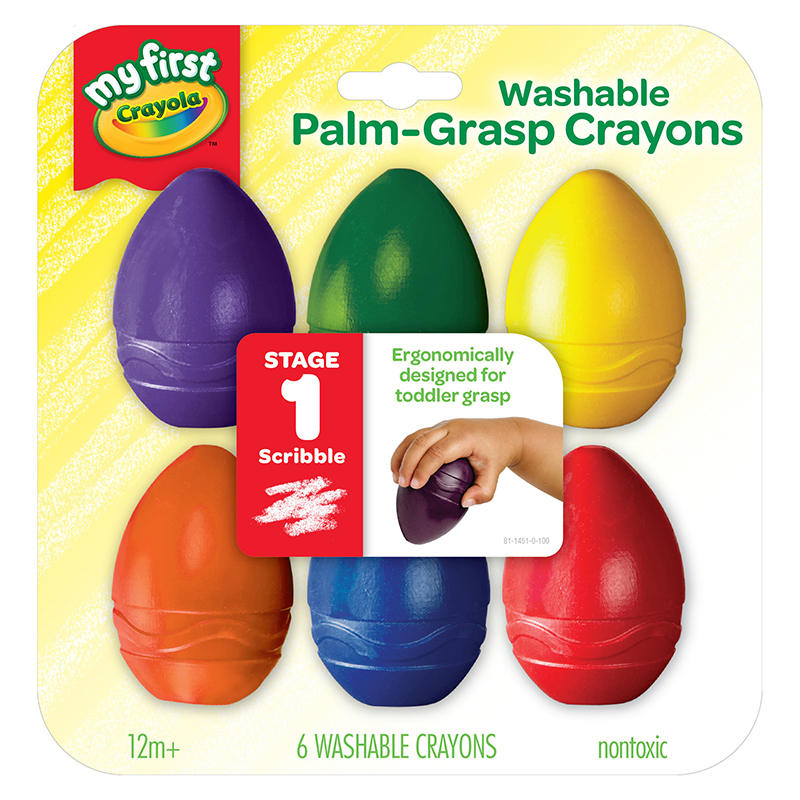 The Washable Palmgrasp Crayons 6 Pk can be found in our Crayons product category within the Arts & Crafts.